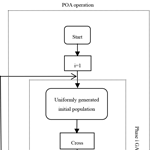 In this paper, to explore the efficiency and rationality of the cascade combined generation, a cascade combined optimal model with the maximum generating capacity is established, and solving the model by the modified GA-POA method. It provides a useful reference for the joint development of cascade hydro-power stations in large river basins. The typical annual runoff data are selected to calculate the difference between the calculated results under different representative years. 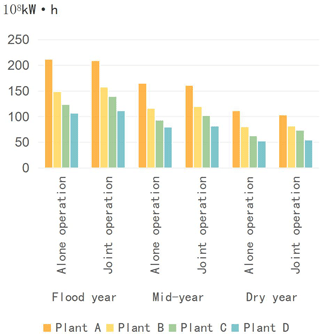 The results show that the cascade operation of cascaded hydro-power stations can significantly increase the overall power generation of cascade and ease the flood risk caused by concentration of flood season. 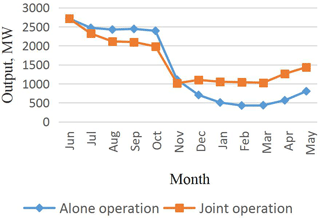 Li, J. and Yang, X.: Mid and long-term optimize scheduling of cascade hydro-power stations based on modified GA-POA method, Proc. IAHS, 379, 199-203, https://doi.org/10.5194/piahs-379-199-2018, 2018. As more and more large and medium hydro-power stations are put into use in our country, the joint dispatching of cascaded hydro-power plants has been getting more and more widespread attention. In order to encourage all hydro-power stations in cascade hydro-power stations to actively participate in the joint dispatch in order to maximize the benefits, the hydro-power industry advocates the implementation of “Cascade, rolling, integrated” mode of operation (Xu, 2015; He, 2014; Zhou, 2016). 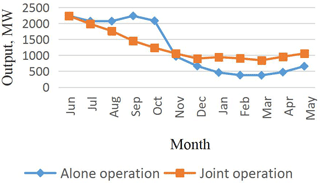 In the joint operation of cascade hydro-power stations, the leading hydro-power station in the upper reaches has good regulating performance, which can greatly increase the power generation capacity of each downstream hydro-power station and has objective power generation compensation benefits (Li, 2016; Wang, 2014). 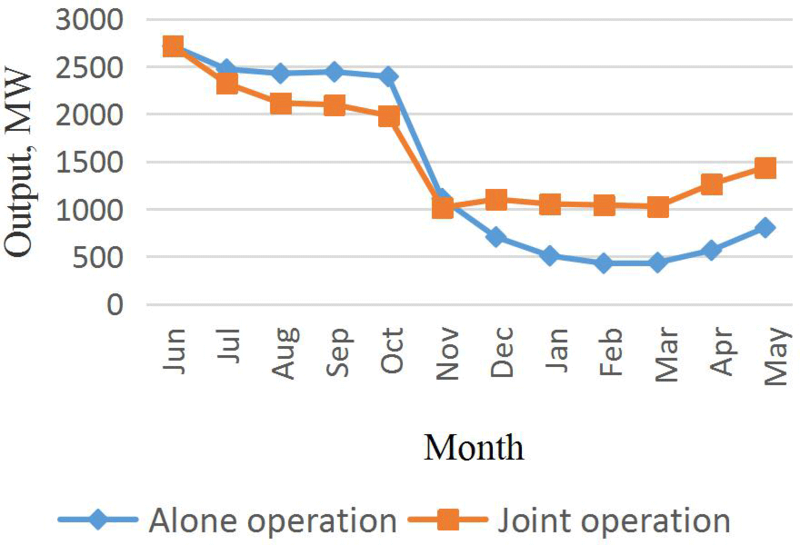 So, reflecting the compensating function of power plants with good performance in cascade joint scheduling and solving the joint operation process by highly efficient and feasible algorithms mean very much. According to the idea of successive optimization, the T-stage optimization problem can be divided into several two-stage optimization sub-problems, while the sub-problem decision-making, using real-coded genetic algorithm to solve. Traditional genetic algorithms generate initial populations in a random way. However, randomized methods often fail to meet the requirements of “global distribution” of initial populations, which leads to their low representation and inefficiency. Based on this, the idea of uniform design is introduced into the generation of initial population of genetic algorithm to improve the initial population quality by increasing the uniform distribution of the initial population. where Pi,t is the integer coding of the i individual in the parent population at time t, t=1,2,…,T+1; T is the number of scheduling period; Zt,min⁡,Zt,max⁡ is upper and lower water level. where T is Each time period; Nt is the output of the cascade at time t; Nmin is system minimum output. where time ∈[1,2,…,T+1], after crossing, a population P′ of the same size as Size is formed. where Py, Py′ are all random numbers distributed between [0, 1], mutation to population P′′ with the same population size of size. 3Size individuals ranked according to the score, the highest score of Size individuals as a parent group into the next generation of evolution. The evolution termination condition is to reach the maximum evolutionary algebra set in advance. The multi-stage optimization problem in the progressive optimality algorithm is split into multiple two-stage sub-problems, and then the modified genetic algorithm is applied to the decision of the sub-problems. 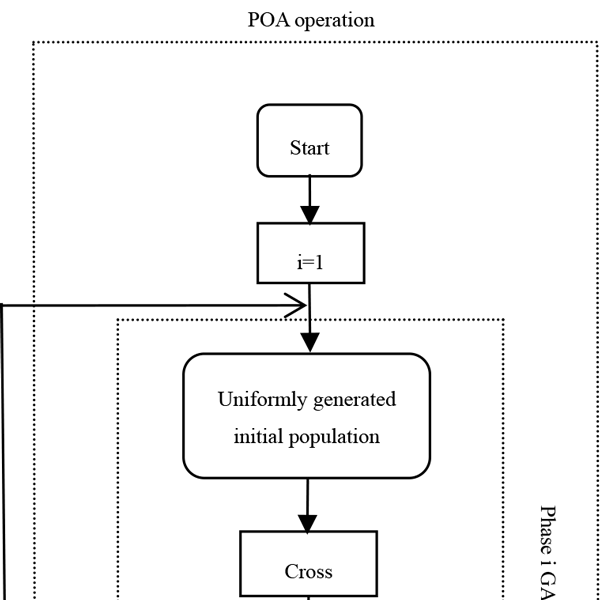 The modified GA-POA method solving flowchart is shown as Fig. 1. Figure 1The modified GA-POA method solving flowchart. where F is the goal of optimal scheduling is the total power generation of all stations in the cascade throughout the entire scheduling period; n is the number of reservoirs; T is scheduling period; Nij is the i reservoir's output of j period; Δt is Time interval. Qt, qt is the average inflow and the average outflow. where Zmax⁡, Zmin⁡ is the reservoir's upper and lower water level of t period. where Nmax⁡, Nmin⁡ is the reservoir's upper and lower output. where qmax⁡, qmin is the reservoir's upper and lower outflow. where Ii,l is the reservoir i′s inflow of the l period; qi-1,l is the reservoir i−1's outflow of the l period; Qqj,l, Qks,l is the interval flow and the loss flow of the l period. All of the above variables satisfy the non-negative condition. where K is output coefficient; Q is used flow; H is net head; ΔH is head loss; θ is coefficient of head loss; t is time; N,E is the output and power generation of hydro-power station. 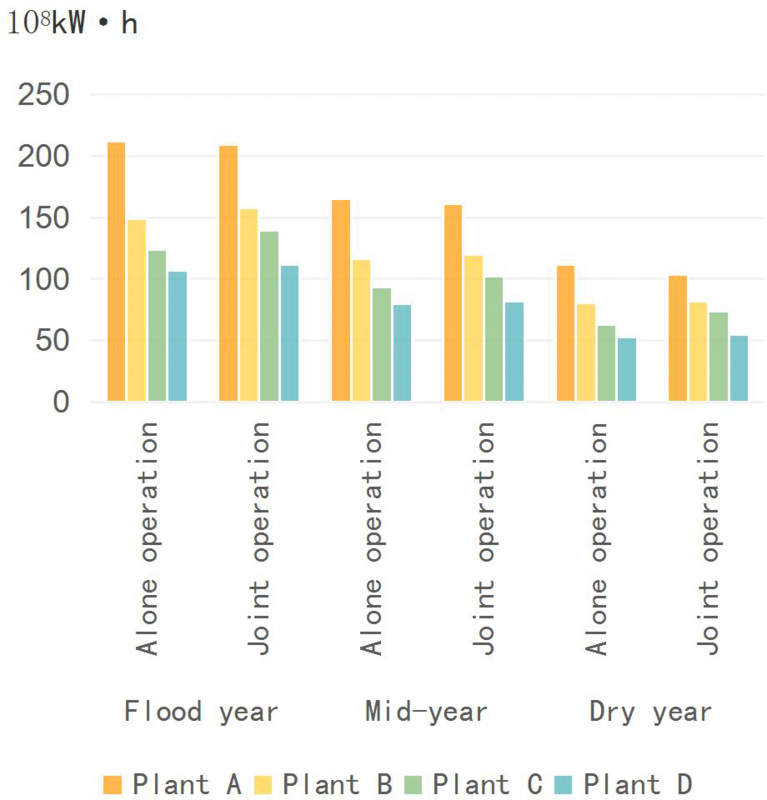 In this study, an example is given to four hydro-power stations in a river basin cascade in China, which are represented by A, B, C and D. Among them, A is the leading power plant with huge storage capacity and significant power generation benefit which has not been completed and put into production. The adjustment capacity of B, C and D is small, and the runoff data used in this study is the monthly typical runoff which are regarded as run-of-run power plants. In this study, population size = 200, maximum iteration generation = 300, crossover time = 3 and mutation probability = 0.03. Solving the model by the established modified GA-POA method with C++ programming language, the cascade power generation under different representative years are shown as Table 1 and Fig. 2. Table 1Cascade power generation 108 kW h.
When cascade hydro-power station is operated in combination, the leading hydro-power station can effectively increase the power generation of the downstream hydro-power plants during the dry period, and the total generating capacity of the hydro-power station increases significantly. 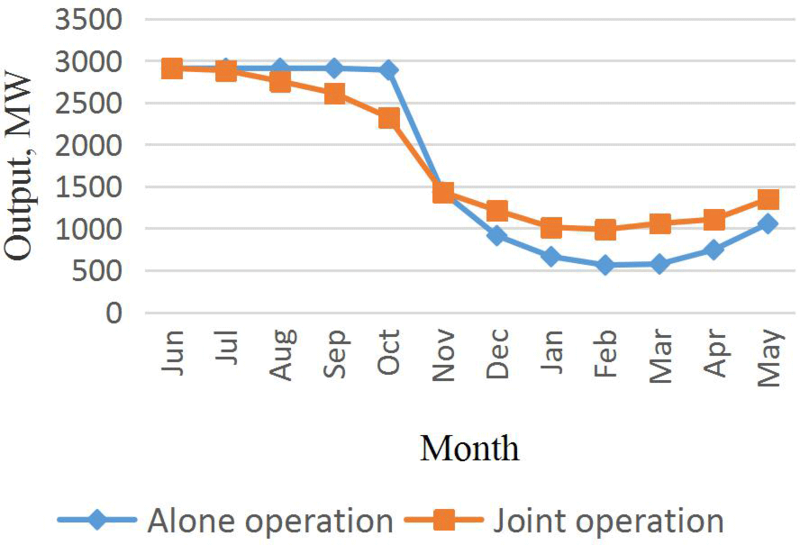 The power generation of joint operation growth by 4.46 % in flood year, 2.25 % in mid-year and 1.76 % in dry year than alone operation. The compensatory benefits meet the requirements of Flood Year > Mid-Year > Dry Year. The joint operation can significantly improve the overall power generation of the cascade. 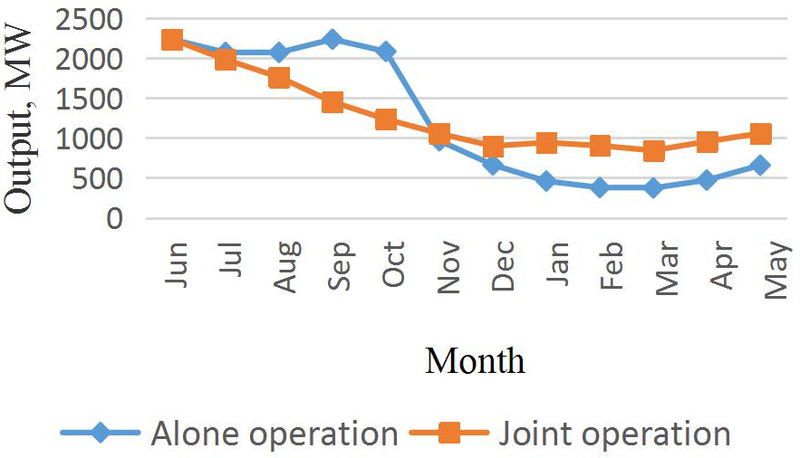 When the water inflow is small, the joint operation has a greater significant. The upstream power station compensates the power plants of the downstream power stations and improves the output of the dry season and the seasonal power generation. It can also ease the flood risk caused by concentration of flood season. This will help mobilize the enthusiasm of the leading hydro-power station and downstream hydro-power stations to participate in the joint cascade scheduling and achieve the goal of joint operation, which bring the maximum benefit in the basin. The monthly output process of each station in flood year when it is operated independently and jointly is shown as Figs. 3 to 6. When each station of cascades operates independently, the output of the power plant fluctuates greatly. The specific performance is that when in the flood season, the output is large; when in the dry season, the output is small. Figure 3The output of plant A. Figure 4The output of plant B. Figure 5The output of plant C.
Figure 6The output of plant D.
When the water supply is reduced rapidly in some months, there are efforts to make a sharp turn; when the cascade power plants are jointly operated, the power plant output process is relatively gradual. Due to the regulation and storage of the leading power station, the output of the power plant during the flood season is smaller than that of the power station alone. In the dry season, the power plant output is greater than when the power station is operated alone. Output, the overall change is smaller than that of each power station when it is running alone, and the leading power station has a significant effect on the adjustment of the steps. In this paper, the long-term optimal scheduling model is established, and the modified GA-POA method is proposed to solve the model by C++ programming. This model is applied to cascade reservoirs in a river basin in China, which achieved good results. The study provides a beneficial reference for the joint development of large-scale cascaded hydro-power stations. The data used in this paper are provided by the reservoir management departments, which can not be provided externally because the data are confidential. This study was financially supported by National Key Projects of China “Water resources efficient development and utilization” (2017YFC0405900, 2016YFC0402208, 2016YFC0401903) and National Natural Science Foundation of China (No.51641901). The author would like to give special thanks to anonymous reviewers. He, X., Wu, Y., and Jiang, G.: Profit allocation model of supply network based on revised Shapely value, Soft Science, 28, 70–73, 2014. Howson, H. R. and Sancho, N. G. F.: A new algorithm for the solution of multi-state dynamic programming problems, Math. Program., 8, 104–106, 1975. 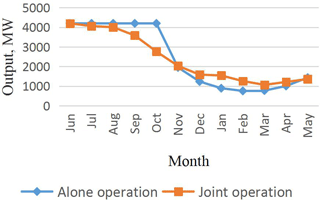 Li, Y., Zhou, J., Zhang, S., Huang, C., and Yan, D.: Combined dispatching chart of cascade hydropower stations on Yalong river, Jinsha river and Yangtze river, Journal of Hydroelectric Engineering, 35, 32–40, 2016. Wang, Y., Guo, S., Zhou, Y., Hong, X., Hu, T., and Liu, D.: Uncertain analysis of long-term generation optimal operation for reservoirs, Water Resources and Power, 32, 61–65, 2014. 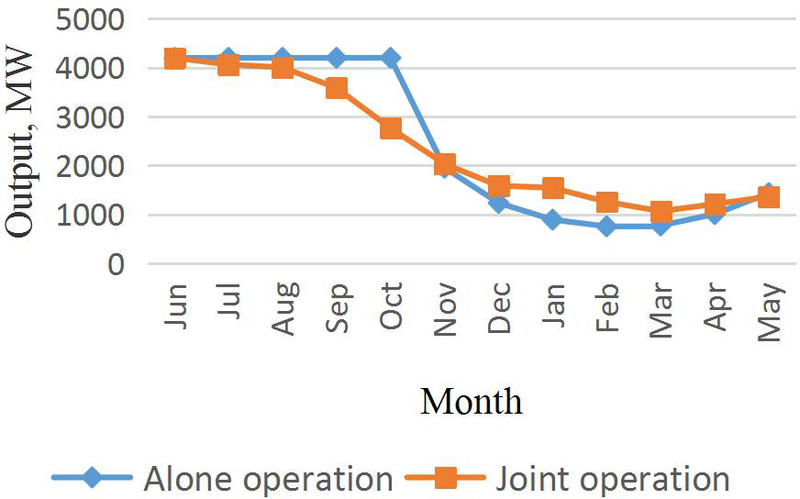 Xu, W.: Research on some issues in the joint optimal operation of cascaded reservoirs between Long yang xia and Liu jia xia, Tsinghua University, 2015. Zhou, B.: Research on compensative operation of two-reservoirs and multi-cascaded hydropower plants, Da Lian University of Technology, 2016.